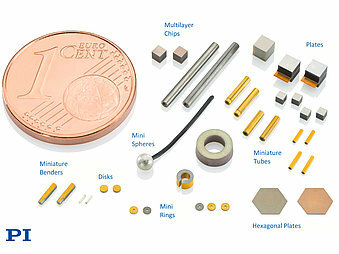 March 20, 2019 - Products - PI (Physik Instrumente) L.P.
PI Ceramic’s latest family of miniaturized piezo transducers comprises, tubes, plates, rings, spheres, benders and discs in traditional and multilayer technology. One of the latest applications of miniature piezo tube transducers can be found in scanning fiber / scanning catheter endoscopes (SFE). These miniature endoscopes provide laser-based high resolution video to enable minimally invasive procedures. Miniaturized piezo plates are used to drive pumps for micro-dosing and nano-dosing of drugs. Ultrasonic piezo transducers can be used for bubble detection in dialysis or blood transfusion applications and for atomization of medication (aerosol generation) to name a few. In addition to medical applications, there are many industrial applications such as filling level sensing, water flow metering, and more recreational uses such as sound pickups in guitars and other musical instruments. Piezo ceramic transducers can operate as pressure sensors or acoustic sensors (direct piezo effect) and when driven with a high frequency signal (indirect piezo effect) achieve high dynamics with frequencies up to Millions of Hertz and excellent reliability. Various shapes and very small dimensions are possible to create precision motion and ultrasound. For example, the new ultra-small piezo tube transducers come in two standard sizes: 0.2/0.5mm ID/OD (inner/outer diameter) with 4mm length, and 0.9/1.5mm ID/OD with 15mm length. 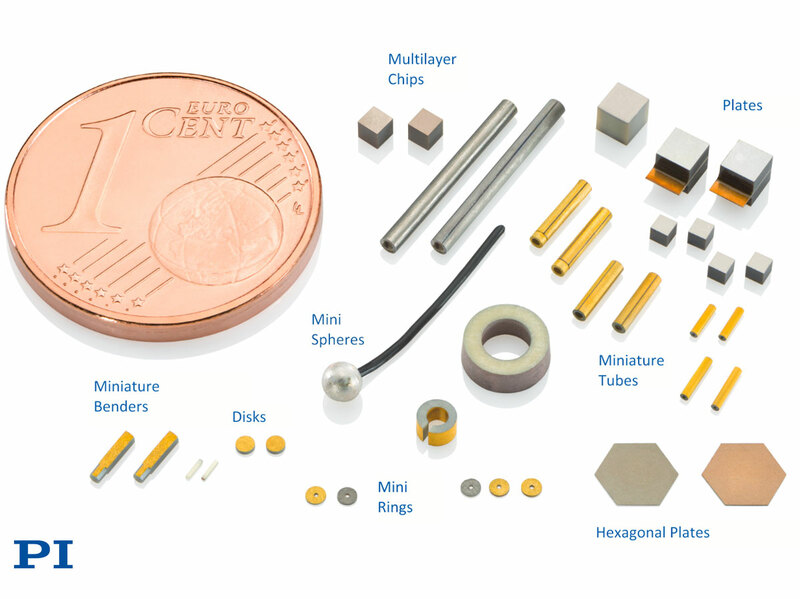 Custom geometries (length, diameter) and custom materials are available, in addition to the large variety of standard piezo transducers offered by PI. Customers can choose from electrodes applied in thick-film and thin film technology. Other options include multi-segmented electrodes for multi-axis scanning operation and modified response behavior as well as wrap-around contacts for easy integration into a mechanical assembly. Lead-free piezo material is also available from PI Ceramic.